Here is her first published poem. This entry was posted in Poets - known and new and tagged Anne Stevenson, Archy and Mehitabel, Dylan Thomas, e e cummings, Elizabeth Barrett Browning, Lilith, Liz Lochead, Poetry Anthology 2010 UK, poetry books, T S Eliot, The Mountain Astrologer magazine (USA), Tom Leonard, Virgo Rising. Bookmark the permalink. Lillith is one of my fav demigods to chat with in stories…. really enjoyed this poem.. well done!! Thanks Annie! I really enjoy showcasing good work on my Guest Slot – and Carole is my first poet to be featured. I’ll pass on your positive comment, and maybe she’ll leave one herself. Thank you so much for your comments. I am chuffed you enjoyed Lilith and the Devil, I enjoyed writing about her too – so much rich imagery in the myths and legends. 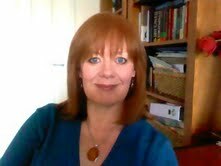 Delighted to be the first guest poet on Anne’s website too, an honour indeed!! With both Lilith and the South Node in my 8th house, this poem really struck a chord with me — it reminded me of how beautifully tormented I used to feel (when I was much younger, of course). I really enjoyed this — thanks for sharing such an amazing talent. Hi just came across your blog and have been browsing around some of your entries and just wondering why you selected a WordPress site dont you find it impossible to do anything with? Been thinking about starting one. glad you’ve found my blog – do drop by again! You may notice that I have tried to keep my site clear, uncluttered and easy to navigate. I like WordPress and find the support excellent. Love this. Each verse drew me in deeper. I was especially taken with the verse that ends with, “like iron hand in velvet glove”. Congrats to Carole Bone and thanks, Anne, for the introduction! Thank you Book Peeps – delighted you enjoyed it, the dark goddess archetypes are not as popular as some other feminine archetypes but ohhhh so rich I think.